Please find attached colour and B&W versions of the draft 2016 Action Plan Review. The final version will be placed on the Council’s cycling webpages later this month. A report was submitted to the Sustainability and Environment Committee on 01 February 2017, visit http://www.glasgow.gov.uk/councillorsandcommittees/viewSelectedDocument.asp?c=P62AFQDNDN0GZ3Z3NT. Note: 1. The photos are Glasgow City Council’s – the one above is from the Strategic Plan for Cycling – GoBike does not know where all this cycle route kilometrage is. 2. 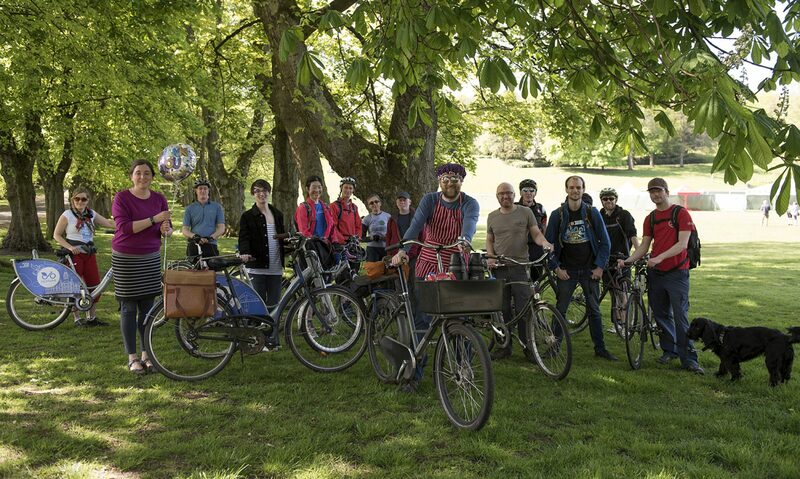 GoBike is the organisation that initially proposed that Glasgow City Council start a Cycling Forum. 3. We were not consulted on the Review; it was conducted internally with all the departments involved submitting their updates and it is intended that a review will be carried out annually. 4. The last meeting of the Cycling Forum was held on 24 August 2016 – the minutes are not yet available – and the date of the next meeting has not yet been determined.